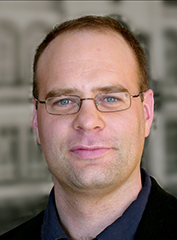 Lutz Ackermann’s research focuses on the development of affordable and environmentally conscious processes for organic synthesis and peptide chemistry, involving base metal and homogeneous catalysis, functionalization of unactivated C-H bonds, and conceptualizing rational mechanistic explanations for these reactions. He is currently a Full Professor of Chemistry (W3) at the Georg-August-University (Göttingen, Germany), a former Dean of Research and Dean of the Faculty of Chemistry and the Director of the Institute of Organic and Biomolecular Chemistry at the same institution. Prof Ackermann obtained his PhD (Chemistry) from the Max-Planck-Institut für Kohlenforschung in Muelheim/Ruhr and the University Dortmund (2001). He was awarded the Gottfried-Wilhelm Leibniz Prize (2017), an ERC Independent Researcher Consolidator Grant (2012), and the AstraZeneca Excellence in Chemistry Award (2011). He is regularly invited as a visiting/adjunct Professor at many universities and research academies. Mehran Alaee’s research focuses on the determination of sources and the fate of emerging persistent organic pollutants (POPs) and related compounds such as brominated flame-retardants (BFRs), siloxanes, pharmaceuticals and personal care products (PPCPs), musk compounds and phthalates in the environment. He is currently a research scientist in the Water Science and Technology Directorate of Environment and Climate Change Canada in Burlington, Ontario. Dr Alaee obtained his PhD (Chemistry) from the University of Guelph (1991). He is a member of the International Advisory Board for the International Symposium on Halogenated Environmental Organic Pollutants and POPs and a former co-chair of Dioxin (2005, 2017). 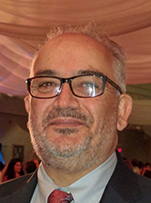 He is a member of the International Scientific Committee for International BFR Symposia and is the chair for BFR 2019 to be held at the Université du Québec à Montréal (UQAM). 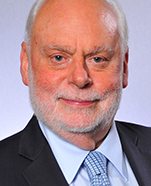 Sir Fraser Stoddart’s research focuses on using molecular recognition and self-assembly processes for the synthesis of functionalized and mechanized molecules, a new field of organic chemistry where the mechanical bond is the key feature of molecular compounds. The molecules designed and synthesized in his research group have been used as molecular switches and as motor-molecules in the fabrication of nanoelectronic devices and NanoElectroMechanical Systems (NEMS). Professor Stoddart is the winner of the Nobel Prize in Chemistry 2016 “for the design and synthesis of molecular machines". 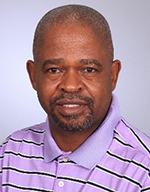 Jack Mphahlele's research focuses on synthetic organic, structural, mechanistic and bioorganic chemistry, motivated by a deep inclination to understand and explain the gaps in our arsenal of methods to construct novel and bioactive molecules. A key area of interest is the synthesis and structural characterization of biologically relevant nitrogen, phosphorus, or sulfur-containing heterocyclic compounds. Prof Mphahlele joined the Department of Chemistry at UNISA in 2003 as a Full Professor. He obtained his BSc and BSc Hons (Chemistry) from the University of Fort Hare (1988 and 1989, respectively), MSc from the University of Pretoria (1991), and a PhD degree from Rhodes University (1993). His commitment to research and student training has been rewarded by several awards at the universities he has worked; these include the Medical University of Southern Africa (MEDUNSA) Faculty of Science’s Most Senior Research Excellent Award (2002), UNISA’s Chancellor Award for Research (2006), and UNISA’s Chairperson of Council Award for Excellence (2009). Professor Mphahlele is also a former recipient of the South African Chemical Institute’s Raikes Medal (2001). Emmanuel Iwuoha’s research focuses on the design and production of smart nanomaterials for application in sensors, reactors, supercapacitors, batteries and solar cells. Prof Iwuoha is a Senior (Distinguished) Professor of Chemistry at UWC, the Director of the SensorLab™ which he founded in 2002. He holds a SARChI Chair (Tier 1) that coordinates research activities on electrochemical energy and sensors for environmental pollutant tracking, food safety and medical diagnostics. He obtained his PhD from the University of Ibadan in Nigeria (1986). 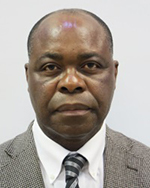 In 2013 Prof Iwuoha in collaboration with the Organization for the Prohibition of Chemical Weapons (OPCW) formed the All African Nanoscience and Nanotechnology Initiative (AANNI), which aims at developing nanoscience skills and nanoscience capacity amongst scientists practicing on the African continent. He was elected a Fellow of the Royal Society of Chemistry (RSC) of the UK in 1999. He was awarded the Faculty of Science, as well as, the University Research Excellence Awards for Established Researchers for 2017. Kelly Chibale’s research focuses on small molecule drug discovery in a diverse spectrum of therapeutic areas including tuberculosis, malaria, schistosomiasis, and cardiovascular diseases. The Chibale group takes a team-based inter-disciplinary approach to drug discovery by integrating chemistry, biology, preclinical pharmacology, drug metabolism and pharmacokinetics. Kelly obtained his PhD from the University of Cambridge (1992) after moving to the UK from Zambia as a Cambridge Livingstone Trust Scholar. After postdoctoral fellowships at the University of Liverpool (UK) and the Scripps Research Institute (USA) he joined the University of Cape Town (UCT) as a contract lecturer (1996) where he has been promoted through the ranks to his current position as Full Professor (since 2007). In 2010 he founded H3D, the UCT Drug and Discovery Centre which is a state-of-the-art laboratory pioneering world class integrated drug discovery in Africa. 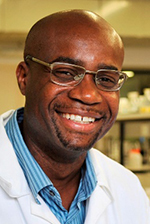 Prof Chibale also holds the SARChI Chair (Tier 1) in Drug Discovery at UCT and is the founding Director of the South African Medical Research Council (SAMRC) extramural drug discovery and development research unit at UCT. In 2018, Kelly’s influence and efforts to build scientific infrastructure for drug discovery on the African continent was recently recognized by Fortune Magazine who placed him in the top 50 "World's Greatest Leaders”. Roger Smith’s research focusses on the application of supercritical fluids and superheated water to liquid phase separations and sample preparation methods, together with standardisation methods and the effect of temperature in liquid chromatography. He is currently Emeritus Professor of Analytical Chemistry at Loughborough University. A graduate of Manchester University, he completed a PhD at the Australian National University in natural products chemistry (1968), before postdoctoral positions in Madison Wisconsin, Charlottesville, Virginia and an ICI fellowship at the University of Sussex. 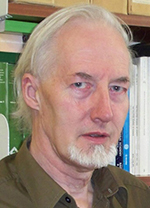 He moved to the University of the South Pacific where he lectured in instrumental analysis and organic chemistry before joining Loughborough University (1977). He was awarded the Royal Society of Chemistry Award for Analytical Separation Methods sponsored by Roche Products (1990) and the Silver Jubilee Medal of the Chromatographic Society (1998). He is currently one of the Scientific Editors of Chromatographia and wasthe series editor for the RSC Chromatography Monograph Series and for the Elsevier Handbook of Separation Science.